Western Carolina Eye Associates loves the opportunity to serve and interact within our community! We consider it part of our mission to participate in local health fairs and events whenever possible. WCEA has had a busy past week, attending three health fairs and hosting a Trunk Show! We are overwhelmed with the amount of local support we have received. 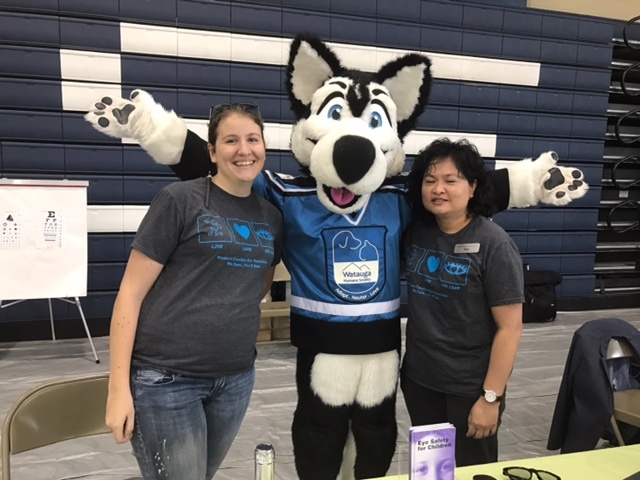 Dr. Copenhaver and a few of our wonderful staff members enjoyed seeing both new and familiar smiling faces at Health fairs this past week. We hosted our first, successful trunk show in our new Avery County location, featuring eyewear from Kate Spade, SMITH, Jimmy Choo, Liz Claiborne and more! There were discounts, giveaways and delicious food from Reid's Catering. We've enjoyed these fun events and hope that you will consider WCEA for all of your eye care needs. Call us today to schedule your appointment! Upcoming Trunk Show in Banner Elk! Back to School Optical Specials!